According to ancient Chinese medicine and philosophy, everything releases energy, or chi. In the Japanese spiritual community, hado is a similar life-force energy that encompasses healing properties and transformative powers. Literally translated, it means wave motion or vibration . Once we become aware of it in our everyday lives, hado can spark great changes in our physical space and emotional well being. According to ancient Chinese medicine and philosophy, everything releases energy, or chi. In the Japanese spiritual community, hado is a similar life-force energy that encompasses healing properties and transformative powers. Literally translated, it means wave motion or vibration. Once we become aware of it in our everyday lives, hado can spark great changes in our physical space and emotional well being. 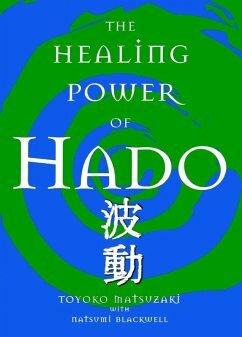 In The Healing Power of Hado, Toyoko Matsuzaki shares stories of her experiences as a hado master, demystifies hado energy, and explains how we can access this unique source of power. 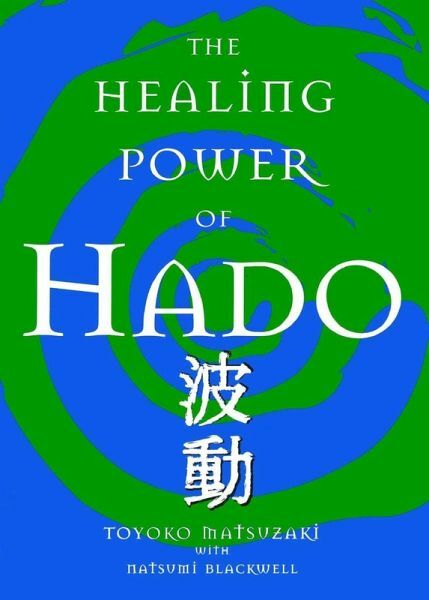 With clear explanations of the properties of hado, helpful lessons, and a handbook for forming practice groups, The Healing Power of Hado will help you discover your hado potential within.